THREE weeks before what is to all intents and purposes Zimbabwe’s most important election since the first all-race poll 38 years ago, the country is once again on edge. After a month of relative stability and commendable peace, at least at the political level, the drums of war are once again at our doorstep. We could actually lose it in the end. The hope that was built after November 18, 2017 and the outpouring of emotion by a collective citizenry weary of political conflict. We needed to build on this and work to set up the second republic. But dark forces are once again stalking our national soul. The opposition is demanding transparency and accountability, but the Zimbabwe Electoral Commission (Zec), a Chapter 12 institution that must act as referee at this critical juncture in the life of our nation, seems deliberately “deaf and blind” to the dictates not only of moral suasion, but also our national governance Charter. And to cement this even further, in Chapter 1 Section 3(2)(g) under the founding values of our Constitution, as part of the principles of good governance binding the State and all its institutions, there must be transparency, justice, accountability and responsiveness by all governmental agencies. Therefore, the demand for a clean and complete voters’ roll is not outlandish. Zec must simply comply! The demand by the opposition and other stakeholders, in particular aspiring candidates across the board, for access to the printing of ballots while not provided for in our laws, is covered by Section 62 and 3 as indicated above. 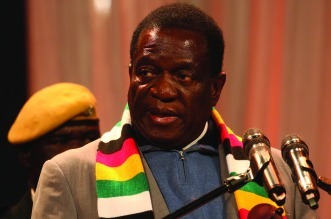 Given the fact that Zanu PF is a participant in this election and President Emmerson Mnangagwa as well as most of his Cabinet ministers are candidates in one or another part of the election, is it not unfair that they have undue advantage because they have unfettered access to information relating to the election. Zec reports to the Justice ministry and the minister in this case, Ziyambi Ziyambi, would know how many ballots have been printed, by who, where and in what quality. Surely, Mnangagwa would also have an idea of the answers to these simple questions. Is it too much then for opposition parties to ask for some form of access to such vital information? No doubt the credibility of our electoral process hangs in the balance. Mnangagwa has promised a free, fair and credible election. General principles of accountability, fairness and transparency dictate that Zec needs to open up a little more. What is it that we have to hide? If none, they should, for God’s sake, allow opposition parties access to such information and let’s get this election done. Our country deserves better and Mnangagwa needs to do something now if we are to avoid another slide into that black hole we were sucked into not many years ago. Our children deserve better.